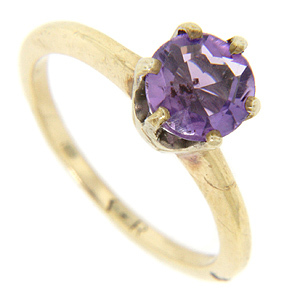 A single round faceted amethyst is set in this 14K yellow gold estate ring. 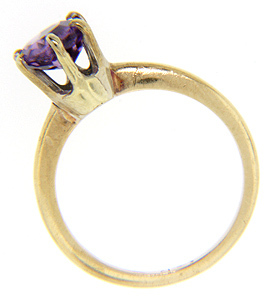 The stone measures 6.4mm in diameter. Circa: 1970. Size: 4 3/4. We can resize.